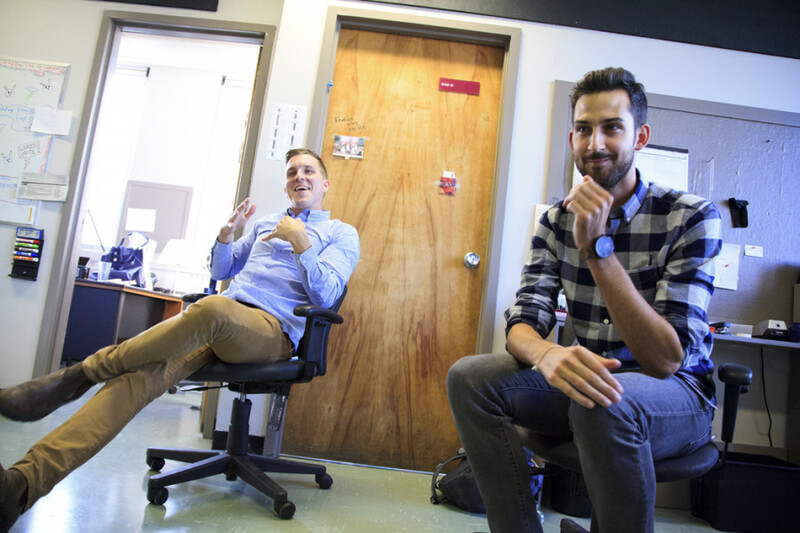 The Gazette reporters and former The Link editors Chris Curtis and Jesse Feith hosted a feature writing workshop last week. A dozen student journalists showed up at The Link office to get tips from the two established and well-respected journos. Before they started though, Chris Curtis had a special message to all student journalists at Concordia. Jesse Feith talked about the award-winning feature he wrote two years after the tragedy at Lac-Megantic. He visited several U.S. towns affected by the railway. And Curtis talked about the special relationship he has forged with the First Nations people of Kahnawake. The Link hosts workshops Fridays at 4 p.m.